While wandering around the internet, I came upon an interesting post over on Nova Ren Suma’s blog (which is consistently interesting, fyi!). 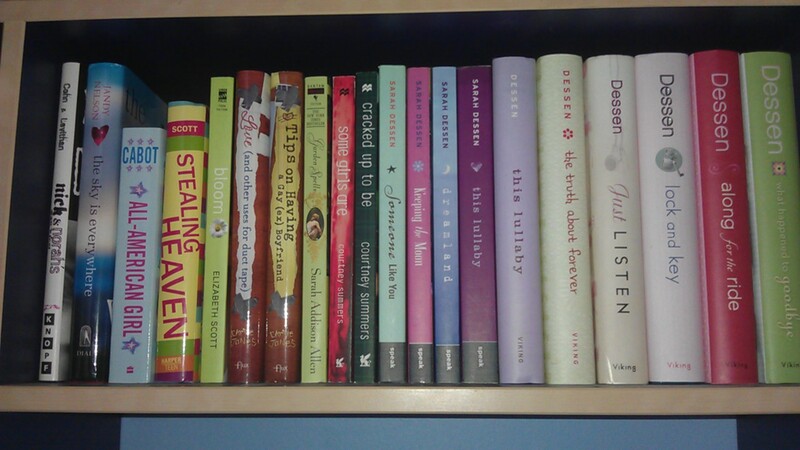 Following a prompt by author/bloggess Hilary Smith, Nova posted a photo of her (enviable) unedited bookshelf. (Well, it’s technically a photo of what happened when she ran out of shelf-space, but we book people can totally relate, right?) 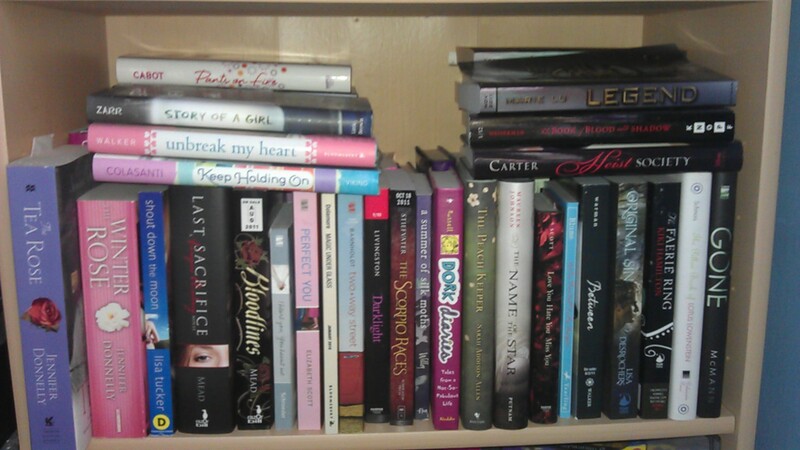 Inspired by Nova and Hilary, I thought I’d post photos of my own shelves. Here we go! 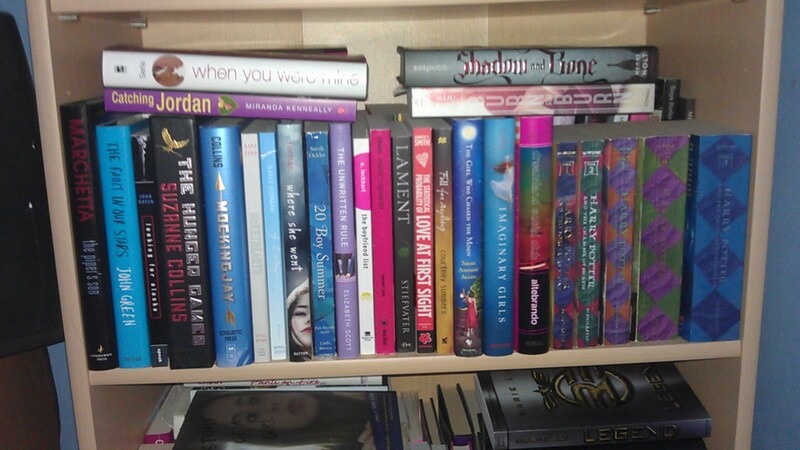 THESE ARE SO NOT ALL OF MY BOOKS. It reminds me a lot of my bookshelf only I have one less shelf. 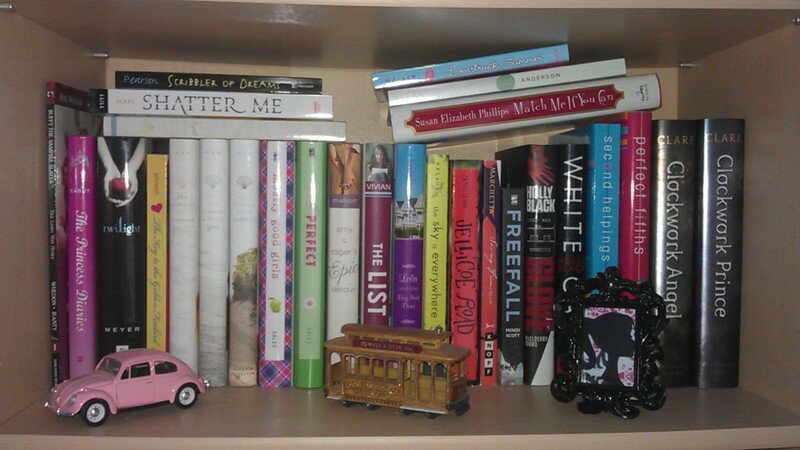 I even have the same paperback Sarah Dessen books & they’re in the same exact order on my shelf. haha I’m going to go with great minds think alike. It’s tooootally great minds thinking alike! Not an OCD thing at all. Not. At. All . . . 😉 And yay for almost-twin bookshelves!